Fall's in the air, and the birds are moving. Move your own self to migrateblog for this week's delightful edition of I and The Bird. Mariya's treated us to haikus! American Bird Conservancy just released a multi-state review that looks at the impact of outdoor domestic cats on birds. This report reviews cat predation impacts on rare birds in the states of New York, New Jersey, Florida, California, and Hawaii, reviews government-authorized programs and ordinances affecting feral and free-ranging cats and their management, and makes recommendations on better ways to manage cat overpopulation problems. The review looks at species such as Piping Plover, Common Tern, Florida Scrub-Jay, California Clapper Rail, Wedge-tailed Shearwater and numerous Hawaiian endemics. Just to clarify: I have nothing against cats, just the humans who let them roam outdoors. Kitties should be contained in safe environments where they can't be harmed or harm other critters. Every now and then, I receive an e-mail or letter from a potential contributor who wants his or her article to appear in WildBird, earns a spot in a future issue and then sabotages the relationship. The sour situation could have been avoided simply via certain actions. Previous contributions do not entitle you to future assignments. You're setting yourself up for disappointment if you think that a long-term albeit occasional relationship with a magazine grants you the right to perform below par or whine without consequences. Even if you've contributed occasionally to a publication during a 10-year span, you need to show the current editor that your work deserves pages in the publication. Your might find that your topics, writing style or professionalism do not sync with the present-day decisionmakers. Before one contributor's species profile was due, he asked if the magazine's format for species profiles had changed. I didn't like the sounds of that. Why? He'd just indicated that he doesn't subscribe to the magazine or, at the least, hadn't read the last two issues. Tell me: Why would I want to work with that writer again? Want to see the previous oops? When you travel, do you book your flights, hotels or cars online? If so, you now can regenerate forests and wetlands through a partnership with Travelocity and The Conservation Fund's Go Zero program. When you make reservations, you can add a tax-deductible donation for The Conservation Fund, which will plant trees. In that way, travelers can buy "carbon offsets" to "zero out" the carbon dioxide emissions created by flight, hotel and car use. Every penny of your donation will go directly to Go Zero Travel, the first program of its kind in the nation. A contribution of just $10 offsets an average trip including air travel, a one-night hotel stay, and rental car for one person. $40 equalizes the effects of air travel, four-night hotel stay, and rental car for four people. 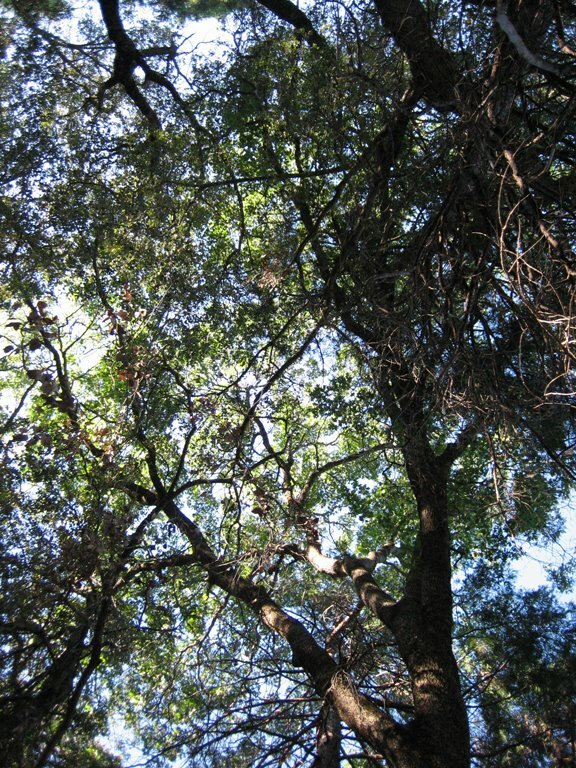 A national wildlife refuge in Louisiana will receive the first grove of trees. 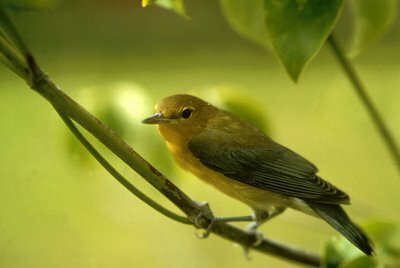 Bogue Chitto NWR provides habitat for Prothonotary Warblers, Swainson's Warblers, Yellow-billed Cuckoos and White-eyed Vireos among other wildlife. My question: Is the science valid, or is it just a feel-good marketing ploy? The U.S. Department of the Interior and the Department of Agriculture said none of the more than 13,000 wild birds tested for highly pathogenic avian influenza H5N1 carried the virus. The national wild bird surveillance and early detection plan is part of President Bush’s National Strategy for Pandemic Influenza. The President allocated $29 million in his fiscal year 2006 avian influenza supplemental funding package for implementation of the wild bird monitoring plan. The U.S. Department of Interior (DOI), USDA, the State of Alaska, and the University of Alaska have been involved with sampling wild birds in Alaska since April 2006. The sampling program includes a goal to sample and test 75,000 to 100,000 migratory birds across the United States this year. So far DOI (including the U.S. Fish and Wildlife Service and the U.S. Geological Survey) has tested more than 11,000 samples and USDA has tested more than 2,000 samples—for a total of more than 13,000. Of those tested by DOI, approximately 113 have tested positive for some form of avian influenza. This is to be expected since there are 144 subtypes of "bird flu," most of which pose no threat to domestic poultry or humans and do not produce noticeable symptoms in wild birds. Of the 113 samples, all tested negative for the highly pathogenic H5N1 virus. Leaving William Heise County Park, John and I returned to Julian and went southeast on Highway 79 to Sunrise Highway. 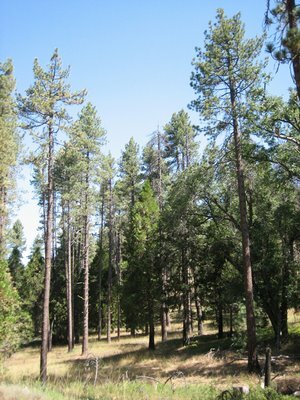 We headed toward Mount Laguna and pulled into the road for Wooded Hills campground. 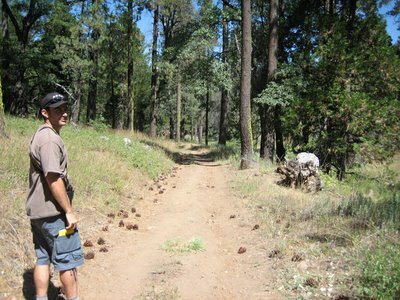 Walking down the road of crumbling asphalt, we heard and saw Steller's Jays, Acorn Woodpeckers and Pygmy Nuthatches. After making a right onto a dirt road, a House Wren crossed our path, as did a Spotted Towhee. Amid the trees, a Western Wood-Pewee vaguely reminded me of the Black Phoebes that visit my back yard. Mountain Chickadees gleaned insects seemingly everywhere. In the trees to our left, a male Painted Redstart suddenly appeared before flying across the road. The red on his belly looked beautiful! John had hoped to see an immature -- verification of successful breeding by an adult pair that he'd previously observed. I saw my first Painteds during last year's ABA convention in Tucson. Such striking birds! To commemorate the lifer, I bought a wood-block print from Alex Cruz, one of the artists displaying his work in the convention's vendor mart. But back to Mount Laguna! John spied a Wilson's Warbler, and I countered with a Brown Creeper. A few more steps down the path, and more than a dozen Mountain Quail burst before our eyes! Four flew across the road, while 10 scurried to the left and up the slope. So cool! Almost as cool is the chance to look at nature up close, like this stuff. Moss? 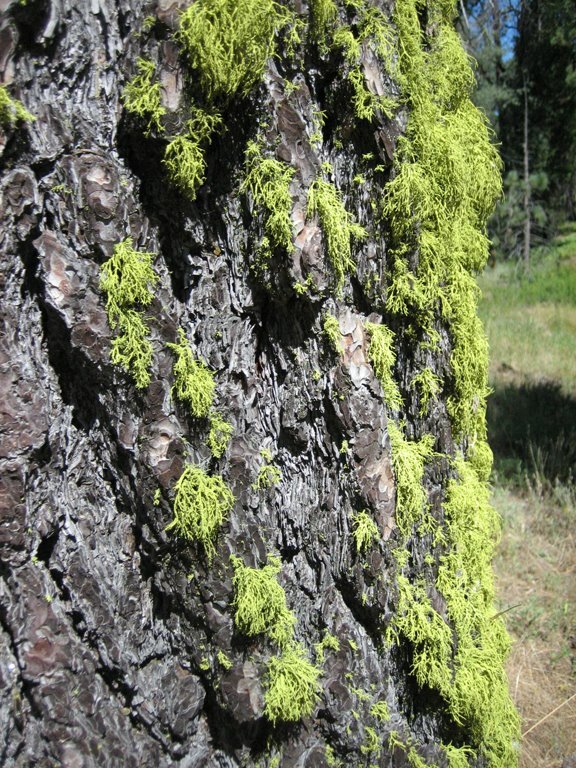 Lichen? Bueller? Bueller? About that time, our stomachs said it was time for sustenance, so we retraced our steps to the truck and retraced the route to Julian. After eating lunch on a shaded patio, we walked over to The Birdwatcher to peruse its plethora of goods. I and The Bird deadline today! If you want to participate in this week's birding blog carnival, send your submission to Mariya ahorita! The U.S. Department of Agriculture announced yesterday that the two Mute Swans in Michigan tested for avian flu do not pose a threat to humans. The USDA National Veterinary Services Laboratories (NVSL) confirmed the presence of the "North American strain" of low pathogenic H5N1 avian influenza in one of twenty samples collected from the two wild mute swans. Preliminary test results announced on August 14 indicated that an H5N1 strain could be present in two of the collected samples. Only one of the samples contained high enough levels of the virus to conduct confirmatory testing. As previously announced, genetic testing ruled out the possibility that either of the samples carried the highly pathogenic strain of H5N1 avian influenza that is circulating overseas. Keep track of all assignments and deadlines. Typically, I send a reminder to writers two weeks to a month before their articles are due. I shouldn't need to act like someone's mother, but it's apparently necessary. A couple years ago, a writer replied, "Oh, I’m working on a book and can’t write the article," so I wrote that contributor’s name on the Never Again List. When a book (or another project) takes top priority, a writer needs to show the professional courtesy of informing me of the change in writing commitments. This allows me time to find a replacement and to inform the advertising salespeople of a change in the editorial calendar. Recently, I sent an e-mail reminder about an upcoming deadline to a new writer. I didn't receive an Undeliverable reply, so I figured that the e-mail reached its destination and presumably the writer's eyes. About a week after sending the e-mail, I sent the contract (which states the deadline). The paperwork didn't come back in the snail-mail, so it presumably reached its destination and the writer's eyes. I thought we were good to go. The deadline arrived... nothing from the writer. I sent an e-mail. No response. I called and left a message. No response. Two days after the deadline, I received a voicemail (that didn't include a return phone number -- grrr) with the writer saying he'd thought the deadline was the next month and was it too late to send the article. Yes, in fact it was too late, because I'd scrambled to find a replacement for the AWOL author, who's now on the Never Again List. Unprofessional and/or discourteous writers might find themselves with fewer venues for their work. Capisce? Care to see the previous goof? 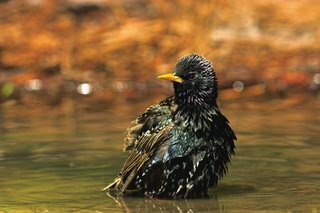 Concerned about avian flu in wild birds in the U.S.? Then check out the National HPAI Early Detection Data System. The HEDDS site shows in which states wild birds have been tested for avian flu, how many birds have been tested and if the H5N1 virus has been detected in the samples. Sampling has begun in many of the lower 48 states and will continue as birds begin migrating south from their northern nesting grounds. Data from three of the wild bird surveillance plan’s five strategies for early detection of HPAI are now viewable on HEDDS: sample numbers from (1) live wild birds tested, (2) subsistence hunter-killed birds, and (3) investigations of sick and dead wild birds. The other two strategies are: (4) surveillance of domestic birds as sentinel species; and (5) environmental sampling of water and wild bird droppings. Thirty-one species still exist because of conservation efforts, according to a recent study. The researchers looked at 170 bird species classified as critically endangered in 1994, and 73 others that would have been classified as critically endangered had more information been available at the time. Of these, they believe 16 would very probably have gone extinct without conservation efforts. They also named 10 species which had been saved from extinction before 1994, and five species which are now believed to exist only in captivity. 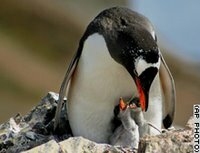 "We attempted to judge from the intensity and impact of the measures used, and from the trend in population, what would have happened had the threats not been mitigated," said lead researcher Stuart Butchart, at Cambridge-based BirdLife International, a global partnership of national conservation organisations, including the RSPB. "In none of the cases were [the populations] naturally bouncing back." Among the cited species: California Condor, of which there were only nine in 1994. The population now numbers 128. There'd be a picture if Blogger cooperated. Grrr. My car arrived at Julian's one four-way intersection about 7:10 a.m. The town appeared devoid of humans. Then a man appeared with a broomstick and a dustpan in hand, sweeping up the sidewalks and parking spots. John's truck soon appeared. 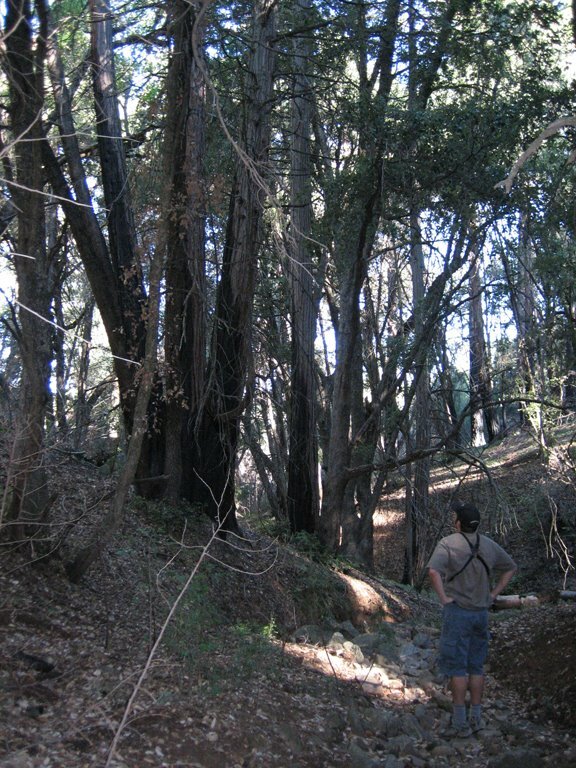 After I clambered onto the bench seat, we headed south to William Heise County Park in search of Spotted Owl. The species appears on the wish list of John's upcoming client, so we were confirming its presence. Acorn Woodpeckers called overhead left and right, and Pygmy Nuthatches made their hidden presence known as we walked down the trail. John pished in an Orange-crowned Warbler, and an Oak Titmouse made an appearance. 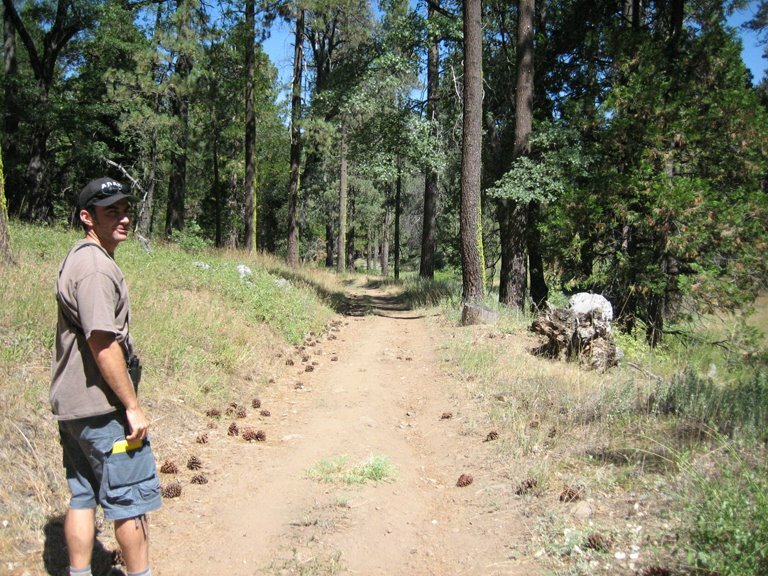 After ambling through the woods, John made a couple owl calls... nothing in return. We looked up into the oak trees but couldn't see our quarry. John uttered his magic phrase, and then an owl called. It lured us further into the woods, seeming to move away and prompting us to billygoat on the slopes of a gully. Dark-eyed Juncos and a really close Turkey Vulture offered some visual rewards for our bushwhacking efforts, but the now-silent owl remained hidden. We came down the hill, and then John spied the back of the roosting bird of prey. What a good-looking bird, even from the rear. I loved its plumage pattern. The fluffy, chubby owl had big yellow feet, the feet appearing more vibrant than the pale, thin slash of a beak. 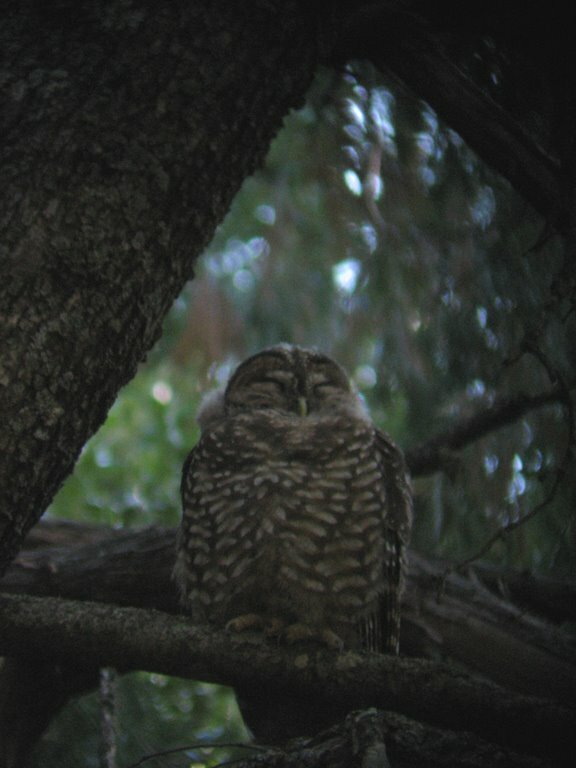 John estimated that the owl was a juvenile, which would explain why its call sounded more raspy than like a whistle. On the way back to the truck, we saw deer, Lesser Goldfinch, Pacific-slope Flycatcher and Mountain Chickadee. I got a kick out of watching the latter glean insects in an oak tree. Honestly, I'm perplexed by the lack of feedback to an article in the September/October issue called "Leaders of the Flock." 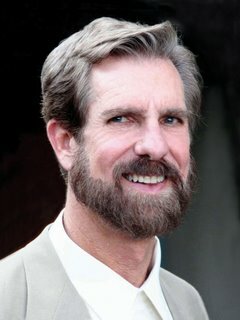 In it, Kevin Karlson named 18 folks whom he considers current and future leaders in the birding community, and the article asked for letters about other regional and national leaders. My electronic inbox hasn't included any e-mails on the topic, nor has the snail-mail inbox. BirdChick even commented on some points and solicited feedback, but no one replied on her blog. Why the silence? I can't imagine that there are not more birders who're equally accomplished and deserving of recognition. I can't fathom that everyone agrees with Karlson's choices. I can't see why BirdChick's usually vociferous readers would hush up when she posed interesting questions. Is the silence due to an actual dearth of suitable candidates... or to birder apathy? Speak up to The Man! Birders around the country can talk to federal representatives about cooperative conservation and environmental partnerships at upcoming "listening sessions." The listening sessions will give citizens an opportunity to exchange ideas on incentives, partnership programs, and regulations that can improve results and promote cooperative conservation and environmental partnerships. The meetings are the latest in a series of discussions the Administration has hosted since the President’s Conference on Cooperative Conservation in August 2005. The conference identified three broad approaches to improving conservation results: promoting cooperation within the federal government, promoting cooperation between the federal government and others, and eliminating barriers to cooperation in existing policy. Some aspects of these ideas are reflected in a recently released summary of new legislation. Other aspects will be explored in the listening sessions announced today. Muncie, Ind. : Aug. 26, 10 a.m., Horizon Convention Center Exhibition Hall. Deputy Secretary of the Interior Lynn Scarlett will attend. 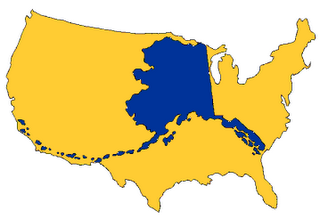 Fairbanks, Alaska: Aug. 28, 10 a.m., The Carlson Center. Secretary of the Interior Dirk Kempthorne will attend. Jefferson City, Mo. : Aug. 29, 1 p.m., Runge Conservation Nature Center. Agriculture Deputy Under Secretary Natural Resources and Environment Dave Tenny to attend. Enid, Okla.: Aug. 30, 1 p.m., Cherokee Strip Conference Center, Pioneer Exhibit Hall. Agriculture Deputy Under Secretary Dave Tenny will attend. Corpus Christi, Texas: Sept. 5, 1 p.m., Omni Marina Hotel, Riviera Ballroom. Commerce Deputy Secretary David Sampson will attend. Honolulu, Hawaii: Sept. 7, 9 a.m., place to be determined. CEQ Chairman James Connaughton and Hawaii Gov. Linda Lingle will attend. Show Low, Ariz.: Sept. 12, 10 a.m., Northland Pioneer College, Silver Creek Campus (Snowflake), Performing Arts Center Theatre (PAC-103). Agriculture Under Secretary Mark Rey will attend. Redding, Calif.: Sept. 13, 1 p.m., Cascade Theater. Agriculture Under Secretary, Natural Resources and Environment Mark Rey will attend. Colorado Springs, Colo.: Sept. 15, 9 a.m., University of Colorado at Colorado Springs, the gymnasium. Agriculture Under Secretary Mark Rey will attend. South Florida: Sept. 15, time and place to be determined. Commerce Secretary Carlos Gutierrez will attend. Pottstown, Pa.: Sept. 18, 10 a.m., Montgomery County Community College – Community Room, 101 College Dr. Environmental Protection Agency Administrator Stephen L. Johnson will attend. Pinedale, Wyo. : Sept. 19, 1 p.m., Sublette County Library, Lovatt Room, 156 S. Tyler. Michael Bogert, counselor to the Secretary of the Interior, will attend. Brewer, Maine: Sept. 20, 4 p.m., Jeff's Catering Banquet and Convention Center. Secretary of the Interior Dirk Kempthorne will attend. Brunswick, Ga.: Sept. 21, 1 p.m., Coastal Georgia Community College, SE Georgia Conference Center. U.S. Fish and Wildlife Director Dale Hall will attend. Orlando, Fla.: Sept. 25, time to be determined, Orange County Convention Center. Florida Gov. Jeb Bush, Secretary of the Interior Dirk Kempthorne and Environmental Protection Agency Administrator Johnson will attend. Waco, Texas: Sept. 27, 10 a.m., Waco Convention Center. Deputy Assistant Interior Secretary David Verhey and Assistant Deputy Under Secretary of Defense Alex Beehler will attend. Colton, Calif.: Sept. 28, 10 a.m., Colton High School Auditorium. Secretary of the Interior Dirk Kempthorne will attend. Please don't pass up this opportunity "to exchange ideas on incentives, partnership programs, and regulations that can improve results and promote cooperative conservation and environmental partnerships." The birds are depending on you! You're welcome to send an e-mail, to which I'll respond in a future post. Anonymous e-mails, however, won't be considered. Please sign your name and city to your words. 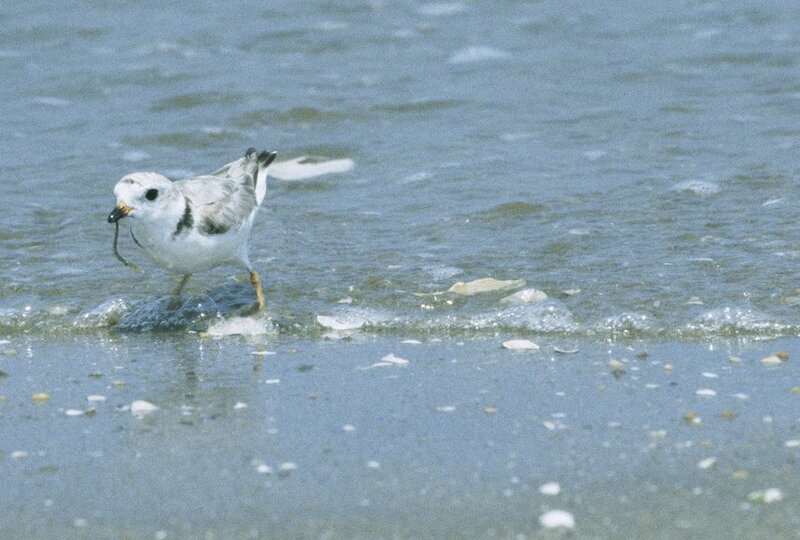 In Missouri, the U.S. Army Corps of Engineers plans to dredge Lewis and Clark Lake, creating sandbars that might provide habitat for species such as Least Tern and Piping Plover. Have you had any experience -- good or bad -- with local experiments like this one? Avoid selling similar articles to competing magazines. You might think of it as maximizing your return on the expenses from gathering story material, but you could kill the possibility of future revenue from a publication. If an author writes an article about, say, a birding site for one magazine and writes about the same site with very slight differences in the text for WildBird, then I write that author’s name on the Never Again List. In fact, this happened to me last year, and I won't consider queries from that writer. Editors of competing magazines want to provide unique information and perspectives to their readers. They do not want recycled copy. This is obvious, no? Mention the name Kenn Kaufman, and most birders' ears perk up. Just about everyone who's been birding at least a year or two has heard of the Kingbird Highway author, who's produced field guides about birds, butterflies, mammals and insects as well as other books. The naturalist also sketches, photographs, serves on WildBird's Advisory Board and speaks about birds. The latter activity allowed me to meet Kenn when he visited Southern California to speak at Sea & Sage Audubon Society's annual dinner in 1999. I enjoyed meeting the soft-spoken fellow with the deep voice. We crossed paths again in fall 2004 during the Hummer/Bird Celebration in Rockport, Texas. While enjoying birds from the deck of a boat on a sunny day, Kenn said my flaming red, spiky hair resembled breeding plumage. I took it as a compliment -- and the most unique one of my life. Without further ado, a peek into the thoughts of a unique birder. Which do you enjoy more: writing about, painting, photographing or speaking about birds? I enjoy them all when they're going well; these activities are so different that it's almost impossible to compare. Sketching birds from life is one of the most rewarding things, because it forces me to see details that I never would have noticed otherwise; sketching is really just an intense form of seeing. Speaking about birds is tremendously fulfilling when I can speak to a group of non-birders and have a chance to get them turned on to the subject. I couldn't possibly get by without them. I mean, in my field guide, I had to describe the voice of Sulphur-bellied Flycatcher, and it was easy: I just said, "It sounds like a rubber duck." What if there were no rubber ducks? I'd still be sitting there trying to decide how to describe the Sulphur-belly's call. It's a terrifying thing to contemplate. My new favorite spot is the Magee Marsh Wildlife Area in northwestern Ohio. It's right on the Lake Erie shore, and it's a tremendous migrant trap in both spring and fall. It has good habitat for marsh birds, shorebirds, ducks, gulls, terns, but the highlight is the patch of woods on the beach ridge. That woodlot hosts major concentrations of migrant songbirds, and it gives me a great opportunity to study plumage variation and listen to callnotes of lots of individuals. There are some days in spring when there are literally hundreds of birders on the boardwalk through the woods at Magee, but there are usually so many warblers and other migrants that there are plenty of birds to go around. And frankly, I love to see lots of people out birding -- especially when you see whole families out there, with even the younger kids digging the warblers. Do you plan to offer more books in Spanish, and why? I'm stubborn enough that I do intend to produce more Spanish-language books on nature. The Spanish version of my bird guide has been a huge drain on me financially -- I knew that I would lose money on the project, and sure enough, right now I'm about $40,000 in the red on that book. No matter how well it sells, I will never break even on it, but I'm not out to make money, I'm out to make a difference. 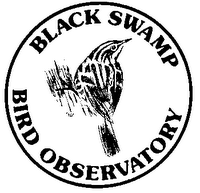 Right now, my wife, Kim, is coordinating a project (through the Black Swamp Bird Observatory) whereby people can donate copies of the Spanish bird guide, at cost, and they'll go straight to educational programs in Florida, the Southwest or northern Mexico. We don't make a penny on these, but we've gotten terrific feedback from people who have been able to use the books. So, yes, I intend to get more of my bird and nature books translated into Spanish. Eventually perhaps the publisher will work out the distribution issues and start to see the value of these books, and I won't have to lose so much money on them personally. Do enough birders "walk the walk" about habitat conservation? I think we all have room for improvement there. I hate it when I hear about someone who pays big bucks to go on a birding trip across the continent and then grumbles about having to pay an entrance fee at a park or refuge. The hunting and fishing communities understand about paying to support the resource, and birders could learn a lot from them. 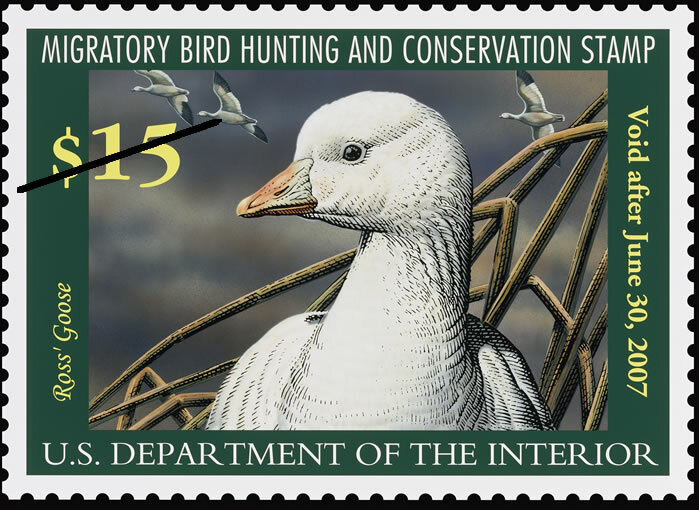 As a basic first step, all birders should buy the Duck Stamp -- it's a tremendously effective program that has provided for the protection of huge amounts of quality bird habitat. Joining the "friends group" for your nearest national wildlife refuge is also a good move, and if birders were all willing to demand shade-grown coffee, we could have a major impact on protecting tropical forest habitat. Even in places like Cape May or Harlingen, where birders contribute a lot to the local economy, I've asked for shade-grown coffee in restaurants and gotten nothing but blank stares. The people there had never even heard of the concept. How can this be? I wish birders were more willing to rock the boat and demand shade-grown coffee, demand good laws for habitat protection. We need to make more noise. Who is/are your birding mentor(s)? When I was a kid, my hero was Roger Tory Peterson (and he still is.) I did 99 percent of my birding on my own, so I needed guidance from books, and Peterson was my mentor-from-a-distance. I didn't actually meet him until I was 19. As a birder, writer, artist, photographer, speaker and conservationist, RTP was peerless, and he influenced me mostly through his books and magazine articles. The birder who influenced me the most through direct example was the late Ted Parker. He was only a year older than me, but his field skills were extraordinary. I think he was the most talented field ornithologist of my generation. How do you encourage the younger generation of birders? One of the best things we can do to encourage young birders is to avoid making birding seem like a dorky activity. I mean, we all know that birds are exciting, that birding is an activity requiring energy and brains and imagination, that it's the coolest thing ever, but sometimes we go along with that stupid stereotype of birders as dorks or wimps or weirdos. We should fight that. We should speak out every time the media portray birders in a negative light. My wife does great work in encouraging the upcoming generation. As the education director for our bird observatory, Kim's also the adult coordinator of the Ohio Young Birders Club. She's also the lead singer for a very good rock 'n' roll band, and that immediately gives her a certain coolness quotient to counteract that ridiculous old stereotype. Every now and then, I receive an e-mail or letter from a potential contributor who wants his or her article to appear in WildBird and goes about it in the completely wrong way. Here’s the seventh wrong way: crossing the line between follow-up and harassment. If you read a magazine's submission guidelines thoroughly, you'll likely find a grace period, something like "Please allow six to eight weeks for a reply to your query." That's a very optimistic time-lapse, in my experience. Depending on the size of the magazine's editorial staff, you might need to wait three or more months to hear from an editor. In their enthusiasm, some writers go a little overboard. If a potential contributor calls me about a query that arrived a month ago, then I might get irritated. I need discussions about queries and assignments to take place via e-mail so that the writer and I both have a paper trail. In the "going overboard" realm, please refrain from bombarding an editor with queries and manuscripts (many of us despise unsolicited manuscripts). I know of a writer who sent six packages within 12 weeks to an editor. Oy. While we greatly appreciate enthusiasm, we also appreciate a certain level of professionalism. Patience is paramount in print publishing. For a bonanza of birding blogs compiled by Bev, visit Burning Silo's edition of the biweekly carnival. The next edition will appear on Aug. 31, and the entry deadline is Tuesday the 29th. Details here! Every now and then, I receive an e-mail or letter from a potential contributor who wants his or her article to appear in WildBird and goes about it in the completely wrong way. Here’s the sixth wrong way: proposing a travel article to a location that you've visited only once or twice. It can be difficult for anyone, even really observant birders and writers, to collect enough details for a useful, entertaining travel article -- emphasis on "useful." Theoretically, that article will provide the foundation for readers' trips to the destination. If you haven't visited a birding spot multiple times throughout the seasons, then you might not have enough experience with the location and its birdlife to write about them accurately. If you have limited experience with a site and write an article that leads to problems for the editor, then you might find yourself on the Never Again List. Editors trust their writers to provide accurate information. If you break that trust, then you might've ended the relationship with that magazine and/or that editor. Not to sound like a broken record, but this is a business transaction, with the magazine's credibility at risk if writers fail to provide accurate info. I received a First Friday submission this week. Thank you! Who else will write a 500-word fictional short story that involves birds, birders and/or birding? You can win a recently published book! The deadline is Sept. 6. Would it prove inspirational if I posted something? Surely you can do better than me! The morning sunshine felt good on Jane's shoulders as she walked toward the lake. She couldn't wait to see which avian treasures the water would hold today. At this early hour, she hadn't encountered any hikers who might disturb the birds that drew her to her favorite spot above the water. Ahead, Jane saw the green-blue color of her destination. A smile grew on her face, and her feet stepped more quickly. Despite the harness, her binocular began to bounce a bit more. As she reached the bluff, Jane sighed with contentment. She had the spot to herself and could look for birds without interruptions. "You know I can't smile without you..."
Jane spun around. Where was that voice coming from? She looked over the bluff and spotted something in the lake. "...I can't smile without you. I can't laugh..."
Raising her bin to her eyes, Jane saw the swimming singer. Oh! Of all the days for someone to visit her favorite site. She might as well leave if she couldn't watch the birds in solitude. "...and I can't sing. I'm finding it hard to do anything..."
Wait, maybe she wouldn't mind watching him for a few seconds. He was treading water and offering a view of his tan, wide shoulders. Not a bad view at all, Jane thought. What was that on his left shoulder blade? A tattoo... of a bird? With her 10-power bin, Jane briefly looked at his ink before thinking "Swallow-tailed Kite in flight. What's the story behind that?" The bin still at her eyes, Jane stepped forward. Suddenly, the earth gave way. She yelped as her feet slipped out from under her and she tumbled toward the water. So, when you're done guffawing or giggling, please craft a better tale than this snippet... or maybe use this as fodder, rewrite bits and add an ending! Remember: 500 words, Sept. 6. Today's L.A. Times carries this article on the front page of the B section. I'm surprised to see it get that much play in a major metropolitan paper. Pigeons wearing tiny backpacks and cellphones will roam the skies of Northern California this weekend as part of an unusual art project. Equipped with miniature smog sensors, the birds will transmit air pollution data to a "pigeon blog" website. The featherweight gadgetry fits inside a spandex backpack originally designed by a Colorado river-rafting company that employs pigeons to carry rolls of film back to civilization during wilderness tours. Each smog-sniffing backpack weighs less than a 10th of a pigeon's body weight and costs $250, Da Costa said. Measurements of carbon monoxide and nitrogen oxide are relayed to Earth via pigeon cellphone and posted at pigeonblog.mapyourcity.net. Another launch in Irvine is scheduled for Aug. 18. If you go, please share pics or tales! Just northwest of St. Louis, Mo., a new wetland area quickly attracted endangered King Rails, much to the delight of local birders. 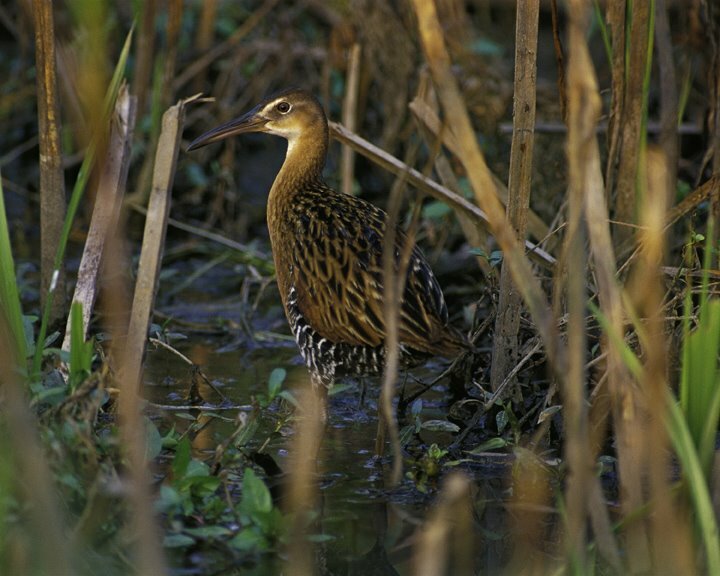 In Lincoln County, the Missouri Department of Conservation restored more than 2,000 acres next to the Mississippi River, and the first King Rail was found in 2004 at B.K. Leach Conservation Area. The king rail is not the only unusual bird that has found a home at B.K. Leach CA recently. Bird enthusiasts also have spotted stately sandhill cranes, elegant Mississippi kites, little blue herons, common moorhens (also with chicks), least bitterns, marbled godwits, marsh and sedge wrens and western meadowlarks. 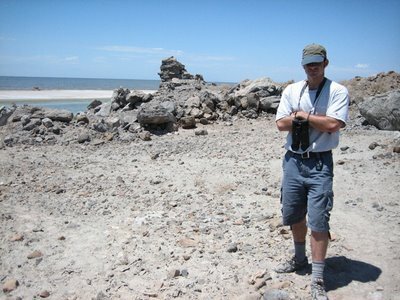 In the past few years, the area also has hosted glossy ibis and black-necked stilts. Thanks to a collaboration between private companies, a private landowner and the government, Least Terns in southern Indiana gained a new nesting area. Duke Energy, the U.S. Fish and Wildlife Service, Patoka River National Wildlife Refuge and an array of other governmental agencies and private partners dedicated the Cane Ridge Wildlife Area on Tuesday. 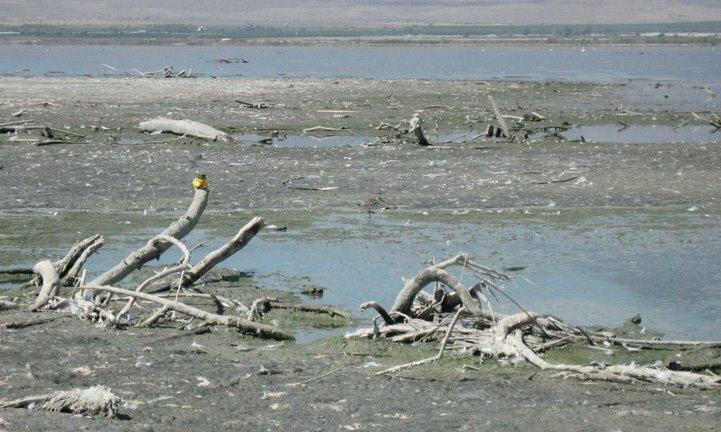 The area, located just outside Gibson Generating Station, has in just two years become home to one of the largest colonies of nesting Interior Least Terns. 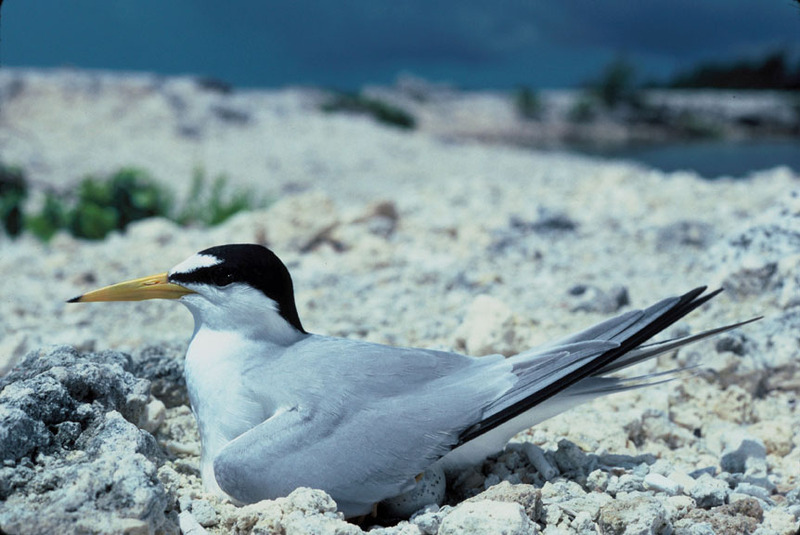 Listed as an endangered species, the interior least tern gave the energy company problems due to the tern's fondness for the power plant's rocky areas for nesting and rearing young. Disruptions in the plant's operations would occur, making the least tern nests something to deal with. In 1997 a piece of property just outside the plant was up for sale and through a creative partnership, the land was purchased and restored in hopes of attracting this small bird away from the power plant. Read it all. This is precisely the kind of collaboration that needs to take place in Southern California to prevent another tern tragedy. 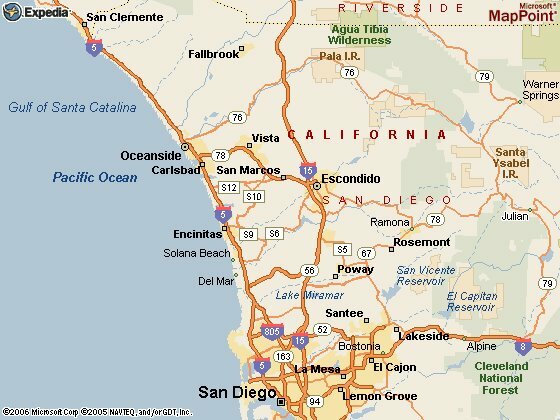 Will SoCal birders make it happen? Paging Los Angeles Audubon! 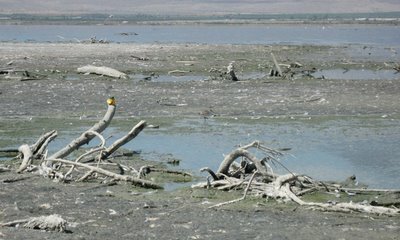 The e-mail met my eyes on Monday morning -- something about Blue-footed Boobies at Salton Sea and an invitation to join the excursion. I had to accept, given the company, the bird and the location... and, yes, the chance to get away from the computer during business hours. A Blue-footed Booby would be new for me, as would a visit to California's largest lake. (I just invited guff for that admission, right? Just remember this.) The excursion also would be my first chance to bird with John Puschock, who's participated in both Ivory-billed Woodpecker search seasons in Arkansas and now lives in San Diego. We met during the San Diego Bird Festival in February. The two-hour drive to the sea went smoothly, and then I missed the correct turn for the meeting spot with John. Thank goodness for cell phones. Thirty minutes later, I found his truck near the north end of the desert lake and walked out to his spot on the Whitewater River delta. To my right was a canal with reeds and Western Grebes. To my left, the shore looked surreal. It was obvious that the sea's water level had fallen drastically. Stunted dead-looking trees stood or canted amid the dark muck. 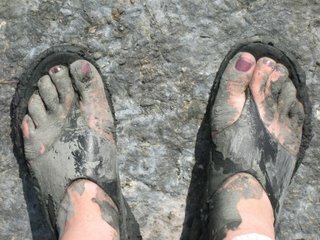 Lots of dead fish littered the mud. Curving toward the right, I spied John and then encountered some muck. Fun! 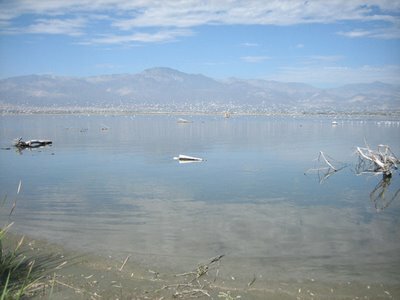 Typically folks mention the smell at Salton Sea. Yep, it was rather noxious. The flies were a wee bit irritating, too. The view and the birds, however, provide distractions -- lots of American White Pelicans, Brown Pelicans, Caspian Terns, one Black Skimmer, Black-necked Stilts, Western Gulls, Yellow-footed Gulls, Western Sandpipers, a Willet, a Semipalmated Plover, a Killdeer and a Snowy Plover. About 30 minutes after I put down my backpack, John saw the booby in the distance being mobbed by Caspian Terns. To my surprise, the guest of honor eventually turned and flew over our heads. I couldn't see the color of the bird's feet, given the angle of the light, but could spy the white patches on its back. John shot some photos before calling another birder to let him know of the bird's visit. I particularly enjoyed watching the sandpipers feed in the muck, their little bills pumping up and down rapidly. They acted rather tame in comparison to the other birds, which scattered if John and I barely walked in their general direction. The sandpipers were less deterred from their meals and even tolerated an interloper. About an hour later, as we began walking toward our cars, the booby appeared again sans entourage. It remained over the water, however, and didn't offer another close view. Closer to the cars, a Lesser Nighthawk flew across the path before landing on the ground for a few seconds. After a stop in Mecca, we drove along the east shore down to Red Hill Marina. We made one stop so that John could point out the Wister unit, which he recommended for winter birding. John, by the way, works as a private guide. You can contact him at sdbirding AT sdbirding DOT com. You'll find him knowledgeable, patient and funny -- great qualities in a birding companion/guide. 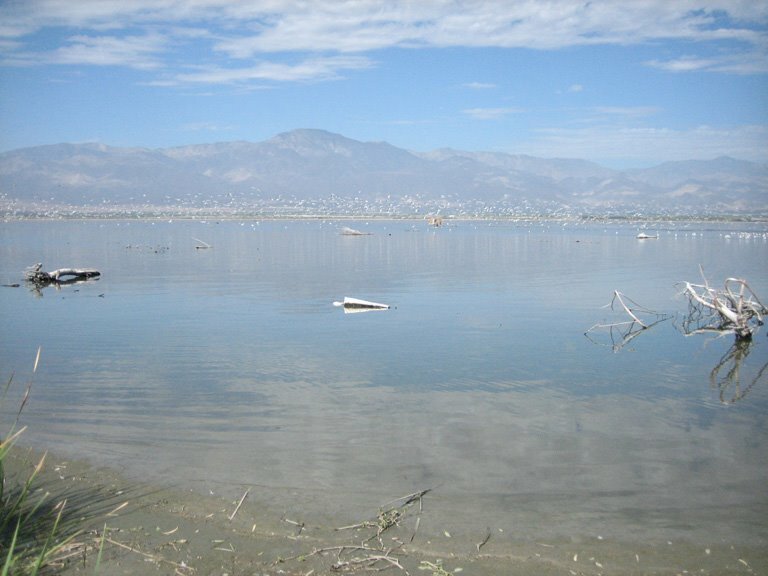 After cruising through Niland, we turned toward the lake. Ohmyword, the smell on Garst Road! Our quarry at the marina: Piping Plover, which John had seen that morning. At one stop, we looked at Black-bellied Plovers and Red-necked Phalaropes along with the usual suspects from the north shore. At the next spot, we spied American Avocet, Snowy Plover and, yes, Piping Plover. By then, John and I were in danger of melting. The temperature registered north of 100 degrees, and our stomachs registered their desire for more food. John graciously allowed a shot before we hopped into our ovens... er, vehicles. 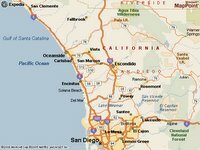 We parted ways in Calipatria, and I high-tailed it to Orange County. During the crazy-freeway commute, the car was inching down an interchange when I noticed the voicemail symbol on the cell phone. An audio clip of M.C. Hammer filled my left ear and made me laugh out loud. Thanks, John! Later, while flipping channels on the radio, I suddenly heard a familiar voice. What a delight to listen to this fantastic birder -- the icing on the cake of a fantastic day! 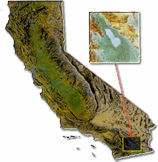 Map courtesy of Salton Sea Authority. The 2006 Outside Buyer's Guide includes an essay called "Zoom: Why should birders have all the fun. Magnify your world view." Michael Perry begins, "I am the Johnny Appleseed of binoculars. I plant them everywhere. For this reason, I have never allowed myself a high-quality set, which would be the moral equivalent of allowing Ted Nugent to baby-sit your prize-winning poodle." 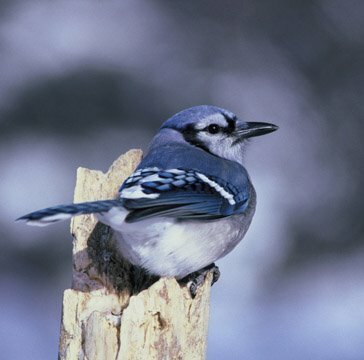 Perry says his mom gave him a binocular when he was four or five: "She wanted me to aquaint myself with the gentle wonders of nature--in this case, a blue jay repeatedly mugging chickadees on the bird feeder out in the front lawn. I was fascinated by how the binoculars drew the birds in and charged them with life, how I culd see the fluff of each feather and the murderous gleam in the blue jay's right eyeball." He also describes using inexpensive compact bins during other activities. I enjoyed seeing an outdoor adventure mag publish a piece that might encourage enthusiasts to look at birds while they're outdoors doin' their thing. 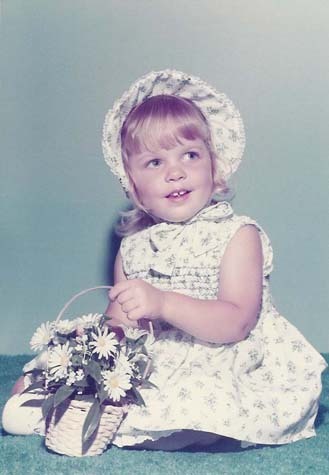 Inspired by BirdChick's recent contests, I'd like to offer a different version: Pinpoint my current age. See, today is my birthday. To reduce the psychological pain of the passing of another year, I'm offering y'all the chance to win the hardcover version of Songbird Journeys: Four Seasons in the Lives of Migratory Birds by Miyoko Chu or the Voices of North American Owls two-CD set. The choice of prizes goes to the first correct commenter. UPDATE: Contest over! See the comments for the winner. Every now and then, I receive an e-mail or letter from a potential contributor who wants his or her article to appear in WildBird and goes about it in the completely wrong way. Here’s the second wrong way: referring to the publication as anything other than the proper name. Some writers type Wild Bird or Wild Bird Magazine or Wildbird or Wildbird Magazine or WildBird Magazine. Ugh. 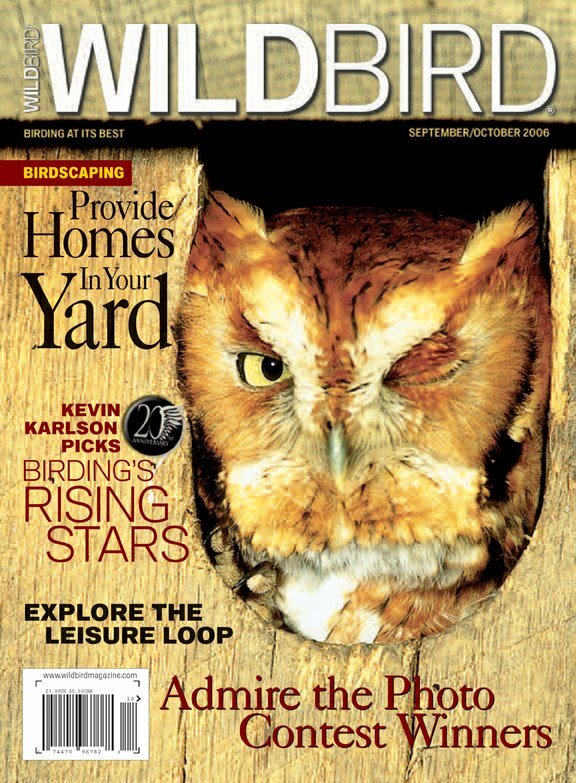 If the writer had looked at a recent issue, he/she would've seen that the nameplate on the front cover says WILDBIRD. One word. There's no "magazine" at the top of the front cover. The top of the table of contents also shows the nameplate, and the bottom of the TOC includes the mission statement. It refers to the magazine's name as WildBird -- one word, capital B, no "magazine" following it. Subsequent references to the magazine's name throughout the issue display the same usage -- one word, capital B, no "magazine." Why is this a pet peeve? It points to lack of attention to detail. I want to work with writers who really care about details, because let's face it: Birding involves the synthesis of tons of details. Carelessness about something as mundane as the magazine's proper name makes me question the writer's thoroughness and passion about the magazine's topic. Want to see the first pet peeve? University and NASA researchers recently finished two weeks of flights over the lower Missisippi River. A team of researchers from the University of Maryland and NASA Goddard Space Flight Center are mapping out areas of habitat suitable for the ivory-billed woodpecker, the largest and most regal member of the woodpecker family, which may still survive some 60 years after it was thought to have gone extinct. The team just completed two weeks of flights over delta regions of the lower Mississippi River using an aircraft carrying NASA's Laser Vegetation Imaging Sensor, which has a unique ability to peer into dense forests to reveal the internal structure of the vegetation, as well as information about the terrain beneath the forest canopy. They are now working to analyze the data taken during the flights and translate it into maps of canopy cover, biomass and other measures of forest structure that will be used to identify areas where ivory-billed woodpeckers are most likely to be found. Time for a virtual vacation with Leigh serving as activities director! Don't forget to bring snacks and beverages; we've got a ways to travel. A colleague recently mentioned the seeming discrepancy between the age of the magazine’s typical reader and the magazine's youth-oriented focus. She pointed out the Adventures with Austin column, the Birdboy columnist and the ages of the last three Birders of the Year. True, our last reader survey indicates that the average reader has celebrated a 60th birthday. In contrast, Austin recently turned 7, Birdboy is all of 20, and the last three Birders of the Year were 17 or in their 30s. Does that indicate a bias toward the younger generations? Not necessarily. The two columns claim only four of the 72 pages in each issue. 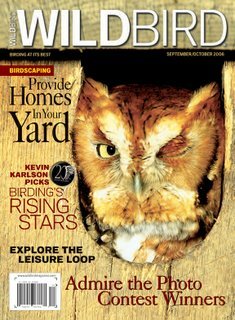 Also, the Birders of the Year receive their titles and prizes after being chosen by readers, not by the magazine’s staff. Perhaps you also question the spotlight on younger birders, given the magazine’s demographics. Here’s my reasoning: Many readers might have children and grandchildren, with whom they can share their interest in birds. Readers and the birding community need to cultivate the next generation of birders and conservationists. If you truly care about birds, then you personally will encourage younger birders. 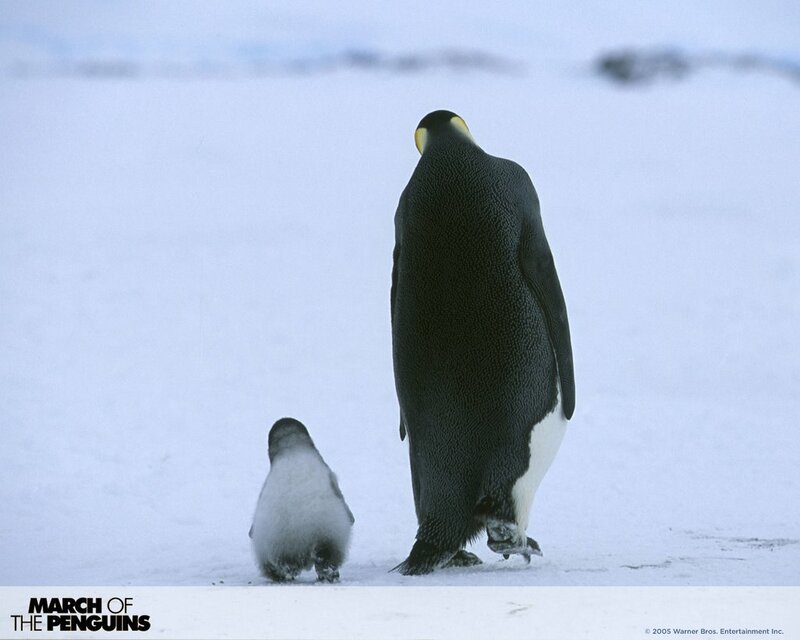 In the future, they are most likely to work toward the birds’ survival and continue the cultivation of conservationists. With that in mind, I’m pleased to point out Kevin T. Karlson’s article, “Leaders of the Flock,” on page 38. As part of WildBird’s 20th anniversary, Karlson focused on up-and-coming leaders in the birding community. I’m also pleased to say that Karlson’s picks include a fair number of individuals associated with the magazine. He pinpointed these leaders without input from me, and I enjoyed seeing the names of two columnists, a book reviewer and members of World Series of Birding and Great Texas Birding Classic teams. This post originally appeared in the September/October 2006 issue as the Editor's Note. The deadline for First Friday is tomorrow, Aug. 2. Any takers? You could receive one of the excellent books that recently arrived from various publishers. Come on, you know you want to! This outing in Corvallis, Ore., sounds like a delightful idea. Birding by bike serves two purposes: It covers more ground than walking, but it still allows birders to hear and see a myriad of birds they’d never see by car, and access remote spots where traffic never goes. “We’re going to stop and look at anything along the way,” Boucher assured his group, which included newcomers and seasoned bike birders. With a spotting scope and a number of bird books loaded onto his bike, he led the pack as they made their way slowly through Avery Park, toward the Willamette River boat landing on Crystal Lake Drive. Do you know of a local club that organizes bike rides for birders?